Tell your fans, friends, and family they can see you at Saskatoon Mini Maker Faire! Just right click the images below to save or copy and paste the code below to add the official badge, banners, and logos to your own site, blog, newsletter, or any other way you share your Maker news with your community. Download and print the pdf(s) of the official Maker Faire printed materials for your office, schools, makerspaces, libraries, local coffee shops, etc. Help us spread the word about this year’s Saskatoon Mini Maker Faire and the maker movement with people you know who would love it as much as you do. Email us if you need a large quantity of postcards for your school, office, group, or location. The rules are simple: Don’t use them in a way that makes people think we’ve endorsed anyone’s products or services, and when you use one on a website, it should link back to http://SaskatoonMakerFaire.com. If you do something neat with them on one of your projects, please let us know ! 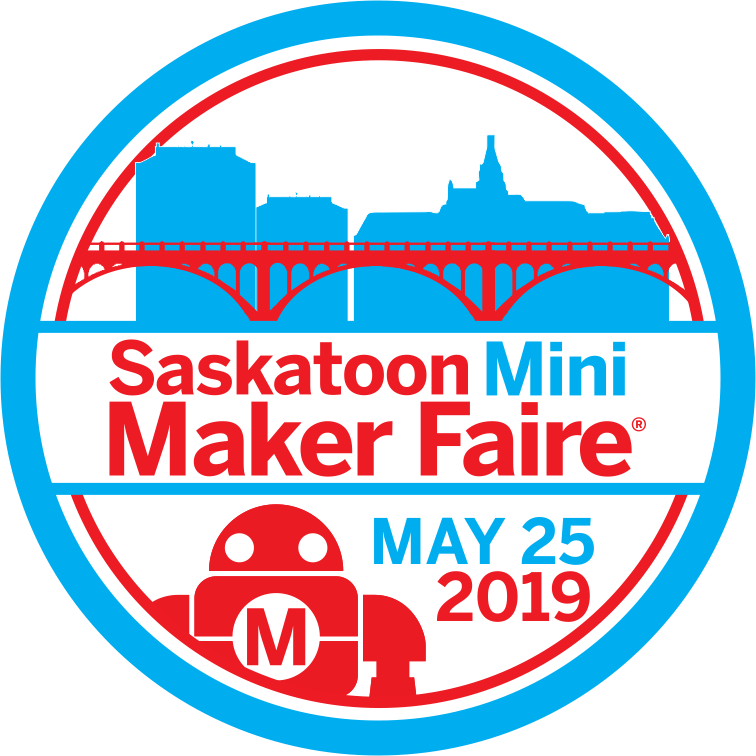 Need an even higher resolution (or vector) Saskatoon Mini Maker Faire Logo for a project or promotion? Email us – we’d love to help!